A couple Sundays ago I was able to get out on the Detroit River with my tournament partner Jared Blair. After waking up at 3AM, gassing up and making a quick Timmies stop, it was then just a quick drive to Leamington. We got down to Amherstberg and were on the water by 6:30. We had an excellent day on the Michigan side of the water by boating over a dozen Largemouth in a short 4 hour period. 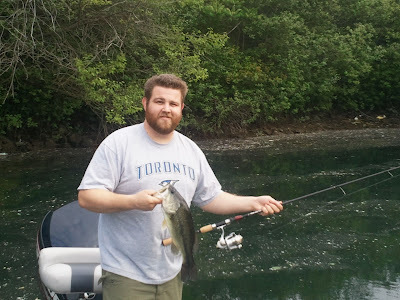 We started throwing jigs and spinnerbaits but weren't having any luck. 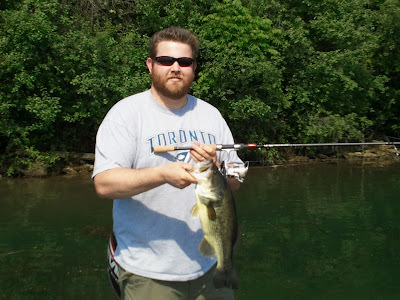 Jared switched to a wacky rigged Quiver Stick from Bass Magnet Lures and the bite was on! We caught fish after fish on them and had a great time. My Denali Rosewood Shakey Head rod held up great on some hard fighting fish. The Rock Bass bite was even on in force! Haha. My first fish of the morning. A solid fish that put up a great fight. Jared Blair with the first fish of the morning! This guy hammered a Quiver Stick from Bass Magnet Lures. My biggest of the day, easily brought to the boat with my Denali Rods Rosewood Shakey Head rod. It was a great day on the water and a good warmup for tournament season. 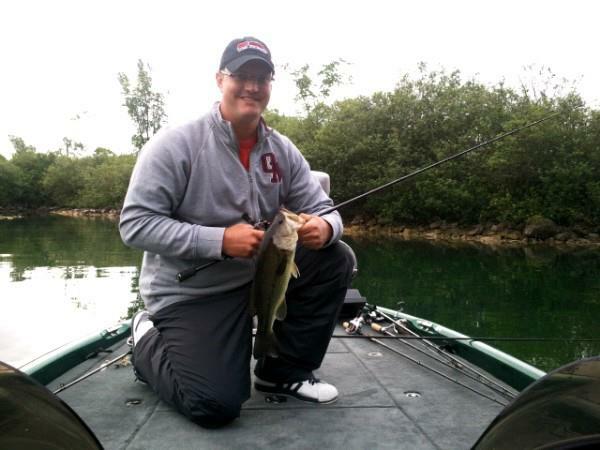 We'll be fishing the inaugural Quinte Bass Champs tournament on June 23rd, opening day. It should be a great tournament with over 120 boats registered. Can't wait for this one!